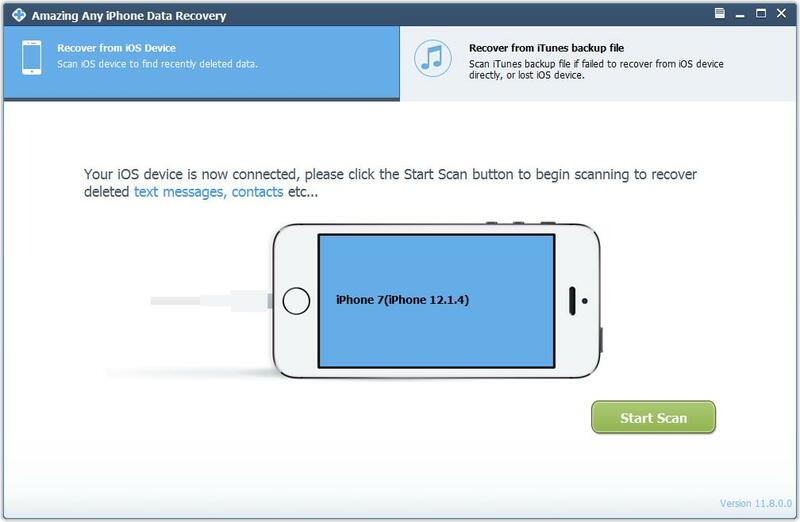 When you delete data from your iPhone, iPad or iPod Touch, it isn't gone forever immediately, but only becomes invisible and can be overwritten by any new data, Free Any iPhone data recovery can get lost data back to your iPhone, iPad or iPod Touch in three steps to on Windows computer. 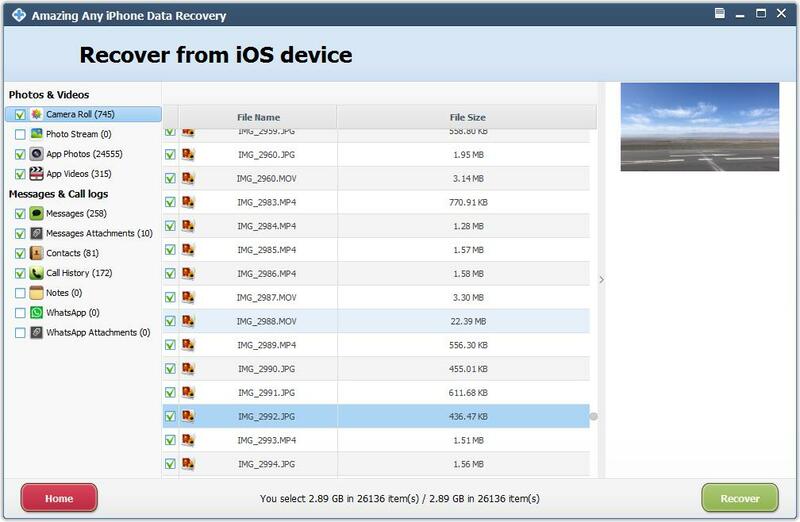 Download, install and launch Free Any iPhone Data Recovery on your computer. Connect your device to computer and click "Start Scan" button. It will scan all files of your device in a few seconds. After scanning, all recoverable files are displayed. Check the box of detailed files and preview files under certain categories. Then click "Recover" to get lost data back.